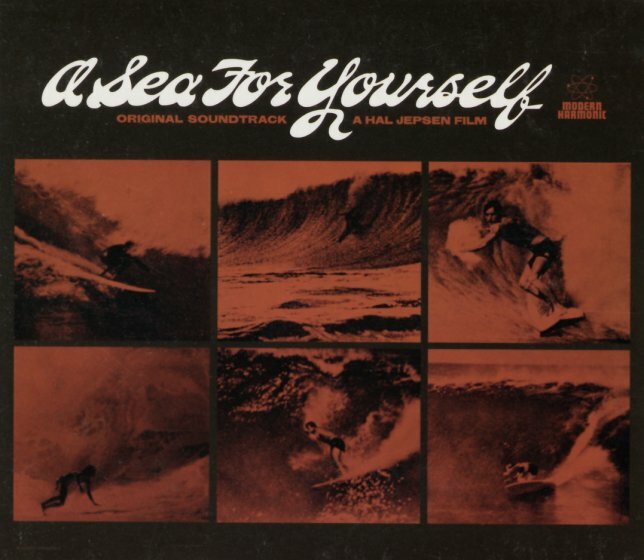 A fantastic little surf soundtrack record – and one that's very different than both the guitar instrumental and jazz-based albums that showed up earlier in the genre! This one is much more like some of the Australian rock scores that started to show up at the end of the 60s – very trippy, and with a weird mix of psych styles, and some really surprising rootsy touches too – so that you'll get fuzzy guitar one minute, and North Cali acoustic sounds the next – all jumping around in this really great way! Production and the whole project is by Daryl Dragon – of later fame – and here, he's a madman in the studio – using cool effects to create some really great moments on some of the tunes. Dragon also handles some of the music, too, amidst a wide variety of other artists and singers – listed here in groups that include The Bozone, Dan Peyton, Al Oakie & Friends, Richard Henn & Co, The Dragons, BFI, and Helpers. Very hip – like the best Aussie surf rock sounds at the end of the 60s! © 1996-2019, Dusty Groove, Inc.